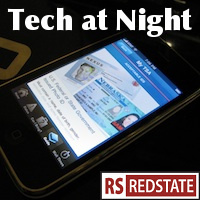 Tech at Night: Insurance companies may attack innovation. A group even more absurd than Bitcoin zealots. Remember during the height of the Edward Snowden media frenzy, how his defenders would dutifully parrot every word RT said about him? Here’s your great Snowden defender now. RT and Snowden are the enemies of liberty, peace, and the United States of America. Bitcoin is the fantasy tool of ideologues, the 21st century version of Goldbuggery, but there turns out to be a group even more ridiculous than the Bitcoin zealots: TSA agents. I mentioned previously a possibly important bill was coming related to broadcasting and retransmission consent. Inside baseball, but big business. Broadcasters have now come out against the bill STELA, so I’m inclined to think it’s probably a good bill. It doesn’t go as far as I’d like, as far as Jim DeMint and Steve Scalise tried in the past, but it’s a start. Remember that Youtube video that the Democrats tried to blame for Benghazi? It’s now being used to attack copyright in the Garcia v Google case. Yes, Google’s on the right side here. Never let them tell you Americans are prudes and Euros are tolerant. Here’s a laugh. Even as the White House defends NSA’s big data efforts, it’s demonizing the private sector. The Emergency Broadcast System. It’s a system that broadcasters participate in to help broadcast critical information in a crisis, but a movie maker decided to use its distinctive tones in an ad, and NBC was dumb enough to air that ad over the air. ESPN was, too. Both got fined for that abuse. Duh. False alarms are not good. After Obamacare we learned that Obama and the Democrats are in the pockets of the big insurance companies. Let’s hope they don’t team up to kill driverless car innovation. Imagine if they’d done that to kill the “automobile” to begin with.